Q: I bought some perilla oil at a DIY store. How is it different from yours in terms of quality? Another question I have is, how many times should we recoat an untreated wooden floor? 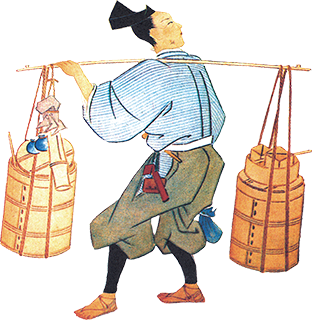 A: We do not know much about the perilla oil sold at DIY stores, but presumably it is has been specially processed to dry quickly. Our perilla oil, on the other hand, is raw oil from pressed perilla seeds and contains no chemical ingredients, so you do can use it knowing it won’t cause any chemical damage. Of course, we cannot be sure there are any chemical ingredients in the perilla oil sold at a DIY store. When you coat wood with natural oil, we recommend using an oil-saturated cloth rather than a brush, which often results in applying too much oil. 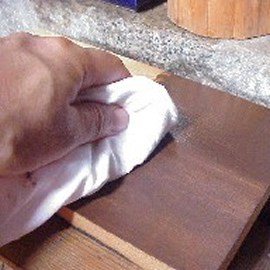 We recommend a maximum of two coats at a time in order to keep the natural feel of the wood. Excessive coating may make the wood too glossy and will make it look as though it was finished with synthetic paint.